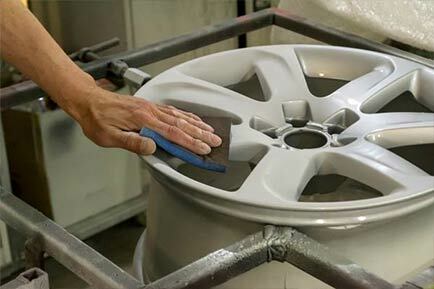 Longwood Wheel Repair and Restoration - EURO Specialists, Inc. Anytime you are having car troubles, it can disrupt your day. Imagine you are driving to work in rush hour traffic and your car breaks down; now you can't make it to work on time and you have to wait for a tow truck in the midst of bumper to bumper traffic. Unfortunately, this does happen more often than not. If you happen to land in one of these situations or you realize before even hitting the road that your tires are not working properly, look for tire repair near me. EURO Specialists, Inc. can provide great services for you when you are seeking a tire repair from mechanic near me. You do not necessarily have to wait to hit anything that punctures your tire before you have them inspected. Even if you are a safe driver, your tires still need to be rotated. Ideally, every 6,000 to 8,000 miles, you should have your tires rotated. It is not lack of driving skills that can damage your tires, the rubber eventually wears and this happens with all vehicles. Anytime you need a wheel repair, our technicians will be able to provide the best service for you by closely inspecting all of your tires, even if you are not experiencing issues with them. It is important that your car is safe to use on the road, and if your wheels aren't working properly, you may be putting yourself in harm when you drive. When you are looking for tire repair near me, check us out! If you are looking for a mechanic near me, you need to visit EURO Specialists, Inc. who will make sure your car's tires are repaired and restored before letting you take it back out on the road. Car repairs can become costly but they are worth it! The biggest benefit of rotating your tires and keeping up with wheel repairs and restoration is the quality your car will be left in. If you wait too long to do any tire repairs to your vehicle, damage could escalate, leaving you paying for more repairs that could have been prevented with proper maintenance.